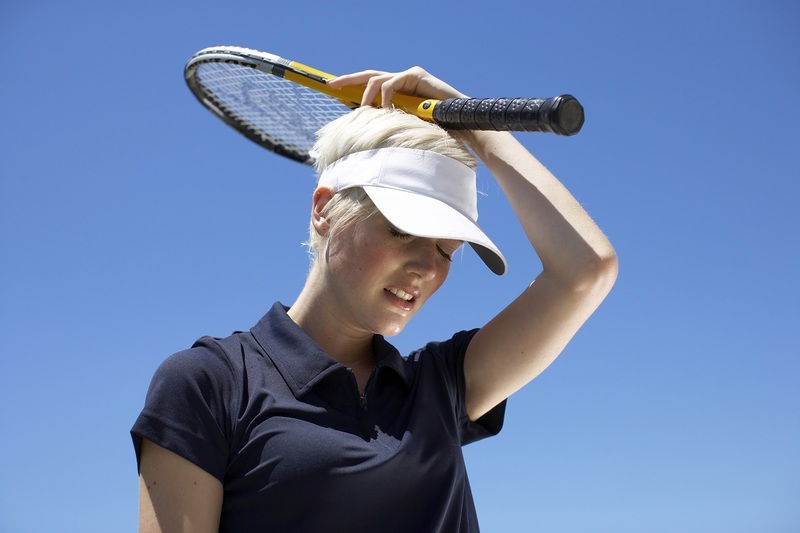 There is ample proof that tennis players often have difficulty controlling their emotions. This even holds true for players who have obtained greatness. Roger Federer was prone to anger and temper tantrums until he reached the age of 20 and well into his professional career. McEnroe was famous for screaming, “You cannot be serious,” which earned him the nickname “Superbrat.” Ilie Nastase was nicknamed “Nasty” thanks to being so brash and rude, and David Ferrer lobbed a ball into the crowd because he was distracted by a crying child. We have witnessed the wrath of Serena Williams and watched as the uber-talented Nick Kyrgios has incurred thousands of dollars in fines thanks to his unsportsmanlike conduct on the court. Anger is a difficult emotion to master and this is especially true for the young tennis player. I have worked with plenty of up and coming stars who struggle with anger control. Let us spend some time defining anger, understanding why it exists and attempt to see how athletes must learn to deal with it. Anger is usually based on disappointment during a match when a player feels they are not performing up to expectations. Bouts of anger will only last about two seconds, so it is clear that the expression of anger is determined by the player’s unconscious dynamic. They will either internalize their rage and thus subject themselves to self-attack or they can vent their rage and deal with the consequences. Let us attempt to understand each process. When a player is perfectionistic and has a burning desire to win, they will have anger issues while they play. Perhaps the worst thing they can do is to internalize the rage which destroys energy, confidence, mood and focus. Internalizing rage will insure that the player will be underperforming and lose to weaker opponents. As a sport psychologist and psychoanalyst, I know that each player has different reasons why they experience symptomatic and disruptive anger. Perfectionism and high expectation usually explain this, but why do some express this anger by internalizing it into self-attack? Sometimes they have been trained to be nice and to repress any sign of anger, so they have no alternative but to hold it in a self-attack. This kind of defense is called “introjection” and “self-punishment.” In cases like this, we work on providing good insight into both their perfectionism and compulsive niceness. When this occurs, the player will learn to modulate their standards and be more expressive of their anger. This form of rage reaction is more obvious and may be less damaging to performance per se. McEnroe is a good example of this type of player who would freely express his disappointment by blaming line judges for any mistakes. Kyrgios is a more modern example of a player who will often express his anger outwardly and here too you see that it does not have as damaging an impact on the player’s performance. This kind of defense is called “projection,” “regression” and “displacement.” Of course the danger in this case is that the player looks childish and their social reputation is diminished. And in the case or professionals, this will invariably reduce any endorsement contracts by corporations who desire media safe athletes. In order to help the young player cope with uncontrolled anger, we first allow for discussions about the subject of anger on the court and this goes a long way in helping them to problem-solve this issue. We then work on perfectionism and attempt to help them become less demanding of themselves. We will teach assertiveness as well so that they can learn to defend themselves against any cheating done by an opponent. In addition, I teach the player the defense of anticipation or what you may know as Murphy’s Law: Anticipation is the realistic expectation that invariably some things will go wrong and to plan for this occurrence so you are not surprised by it. Finally, I talk about humor, which is one of the most mature defenses a player can possess. Humor and its twin brother, smiling, help the athlete settle down and get closer in touch with the fun and joy of the game. These processes must be performed in a step-by-step fashion in order for them to work. If you think all this is complicated, you would be correct. The finest psychologist on Earth was Sigmund Freud, and he told us long ago that there are basically two drives in a human being and that they both must be mastered in order to achieve success and happiness. The first drive is what we call “Libido” and the second drive is “Destrudo,” and both drives are a part of sports performance. The felt beauty of the game is the sublimation of Libido. The aggression of the game is expressed by Destrudo or muscle power. Both of these emotional/physical drives are extremely powerful and both are tough to control. But the only way one can fulfill their potential on the court and have more fun while playing tennis is to learn how to discuss, analyze and finally control these instincts. The only way to do that is to engage in “The Talking Cure,” so welcome to the couch, get comfortable and start talking.